Updated on August 25, 2016. Click here to see a compact schedule of the events of the weekend. The speaker and event schedule is set. Of course, all events are subject to change due to weather or other external events. Saturday , September 3, 2016 – Meet on outdoor deck at 10:30 to form carpools for noon start at NRAO/Green Bank. The tour will be a “behind-the-scenes” tour, so participants will get to visit labs and the telescope control room —locations that are normally off-limits to the public! We have arranged for access to NRAO’s 40-foot educational dish on this evening. Participants will stay overnight at NRAO and return the next morning. 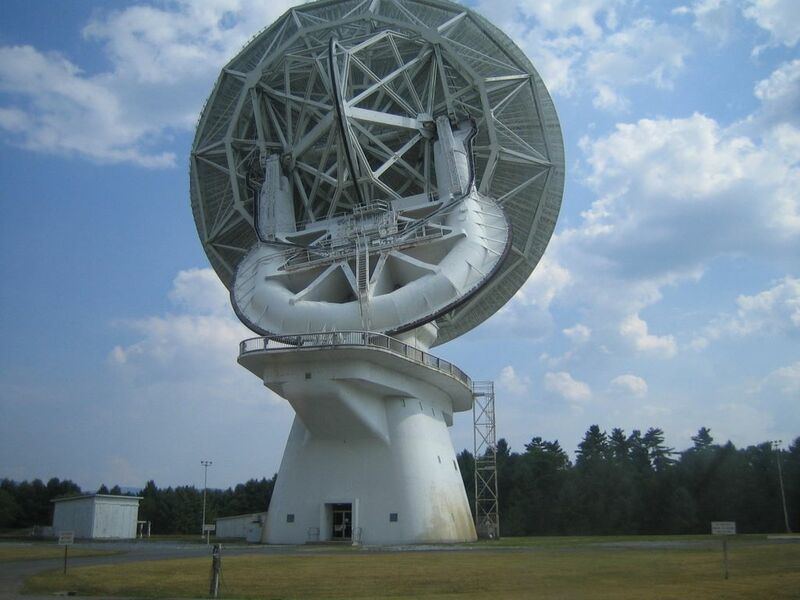 No prior radio-astronomy experience is required; NRAO will provide instruction and support. Space is very limited! If you’re going on the Behind-the-Scenes Tour, you’ll simply stay at NRAO following the conclusion of the tour. Otherwise, you should plan to be on-site at NRAO by 4:15 p.m. If you will be observing using NRAO’s 40-foot educational dish, you may wish to look over the observing manual before you arrive at AHSP. Here is a pdf copy of The 40-Foot Observer’s Manual. IMPORTANT NOTE: Cameras are welcome at NRAO. In order to prevent radio-frequency interference to observations in progress, the observatory prohibits the use of digital cameras (and electronics-laden film cameras) in some locations close to the telescopes. Bring a simple film camera if you’d like to get some pictures up close to the instruments. After riding the historic Greenbriar Valley train last year, we will return to the Cass Scenic Railroad as a daylight activity on Sunday. Cass Railroad tickets are for the 2 hour round trip to Whitaker Station, which recreates part of the logging tradition of the area. Definitely a family activity, for any weather. We will provide snacks for our group. Lunch will be on your own, either at the lunchroom in Cass or somewhere else of you choosing (suggestions to be provided). Those with TMI Sunday meals who return immediately will have late sandwiches available. Tickets for the train ride, the historical town sites, and snacks will be $35 for adults and $27 for children 4-11 (children 0-3 are free). As we were not able to reserve a car this year, we are not limited in the group size. Cass is more than an hour south of TMI, just beyond NRAO. We will be back in time for the TMI dinner and evening program. Bob Bunge wrote in 2010: “Cass is unique and very much a treasure of mountain history and culture (much like TMI). It has the largest operating fleet of geared locomotives in the US. One of their locomotives, Western Maryland #6 is the largest Shay type locomotive ever made. Volunteer carpools will meet on Saturday morning on the deck after breakfast. Those who wish to be at Cass for the Locomotive Shop Tour should leave TMI by 8:15 for a 9:30 arrival. The 10:00 Shop Tour leaves from the Visitor center. Those who are going for the train ride only should be prepared to leave TMI by 9:00 for 10:30 arrival. Leaving in between will give you some time to explore the town around the Cass depot. If you join a carpool, plan ahead for what you will do after the train and what you will do for lunch. You might want to get a box lunch in town before you leave. There should be no problem getting back to TMI for dinner, programs, and observing. “Uncle” Rod Mollise, a Contributing Editor at Sky and Telescope magazine, is familiar to amateur astronomers as the author of numerous books and magazine articles on every aspect of astronomy, amateur and professional. He is most well known, however, for his books on Schmidt Cassegrain Telescopes, SCTs, especially his last one, Choosing and Using a New CAT (Springer), which has become the standard reference for these instruments. Rod’s previous book, The Urban Astronomer’s Guide is also popular. T hat’s no surprise, since it is designed to help the majority of amateurs who must observe from light polluted urban and suburban sites actually see deep sky wonders. In addition to his books, Rod’s work can be found in magazines including Sky and Telescope, Sky and Telescope’s SKYWATCH, Astronomy Technology Today and others. He is no stranger to Internet astronomy, either. Look for him on numerous online forums and on his popular blog, Uncle Rod’s Astro Blog. He is also one of the editors of the acclaimed double star magazine, The Journal of Double Star Observations. When not practicing astronomy or teaching it to undergraduates at the University of South Alabama, Rod chills out in his new suburban home, which he moved into last year after twenty years downtown and which allows him to finally get out and profitably observe the sky from his very own backyard. This session is an introduction in to the exciting world of astro-imaging! Astro-imaging is a specialized type of digital photography for imaging astronomical objects and large areas of the night sky using an amateur telescope, mount and available cameras. This session will primarily focus on astro-imaging for the beginner. It will also touch on advanced astro-imaging and give a glimpse into what’s next! John is a Department of Defense professional working in realm of space and intelligence. As an amateur astronomer, John had the privilege of using his astro-imaging skills professionally at work. John’s astro-imaging journey started in 2010 with his involvement in the NASA LCROSS Mission. He found himself in the unique position of being the only astronomer within his organization; therefore, he was asked to image the plume on the moon generated by the LCROSS impactor. 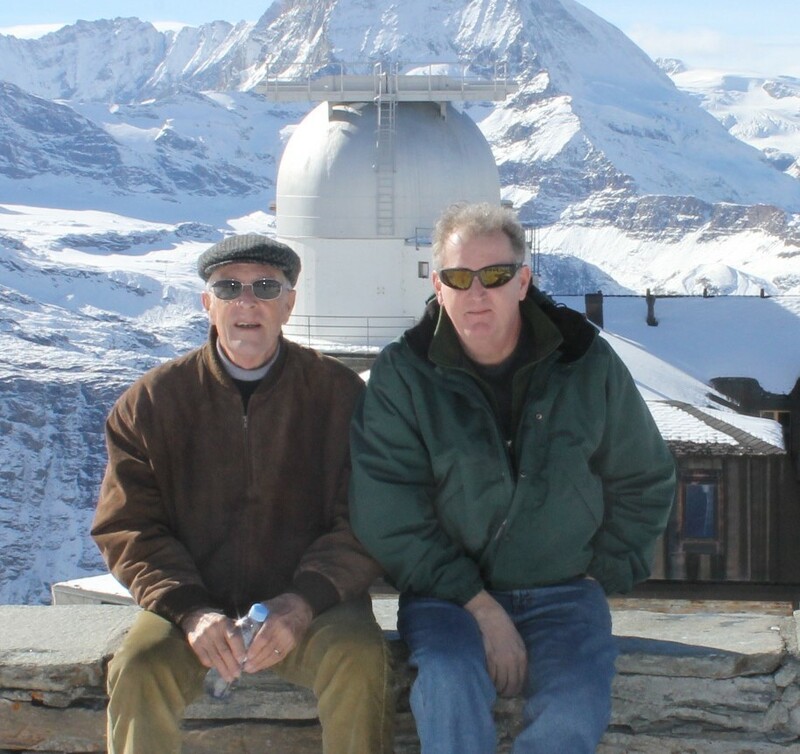 John’s passion for astronomy started with his father when he was a boy. His father was instrumental in building several observatories and reflector telescopes. John still uses his father’s home-made 10″ reflector telescope today. On March 18, 2011, space exploration history was made when the MESSENGER spacecraft became the first probe from Earth to go into orbit around Mercury. Since that time, it has taken more than 270,000 images and made tens of millions of spectra observations. From all this more has been learned about our solar system’s innermost world than had been dreamed to ask at the onset of the mission. From newly seen impact basins to the surprising status of the magnetic field, from the make up of the exosphere to the verification of water ice at the poles and to the discovery of geologic features not found on any other body in the solar system, MESSENGER’s discoveries at Mercury have reshaped the theories planetary geologists have had on the origins of the solar system’s littlest planet. Join MESSENGER and New Horizons Mission Ops team member Mark ‘Indy’ Kochte as he takes you on a historic journey to one of the most elusive bodies in our Solar System, where not even the vaunted Hubble Space Telescope can peer. Mark ‘Indy’ Kochte had always been interested in space and astronomy since he was a kid. To that end, he pursued a degree in Astronomy & Physics from the Ohio State University, then joined the Hubble Project prior to Space Telescope launch in data processing and archiving. After 17 years of this, worked on the Far Ultraviolet Spectroscopic Explorer (FUSE) mission planning and scheduling. In 2006 he joined the MESSENGER mission as a Payload & Mission Operations Specialist, sequencing critical instrument and spacecraft commanding. 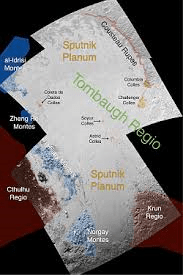 He started with the New Horizons mission in 2014 as a Mission Analyst, command sequencing of the Solar Wind Around Pluto (SWAP) plasma spectrometer. Throughout his tenure in space mission operations, Indy has authored or co-authored papers on spacecraft design and mission operations, and science analysis results of early exoplanet research. In his spare time, when not staring at the stars, Indy can be found exploring our planet. In addition to having authored the rock climbing guidebook “Climb Maryland!”, he has maped cave systems in West Virginia, dived for fossilized shark teeth , worked on various time-lapse and astro-lapse photography projects, or just photographed the world we live in. Talk to Mark about his experience with wide-angle time lapse astrophotography. Tom will discuss and demo several websites available to amateur astronomers interested in the growing capabilities of ‘online observing’. This area of interest has come so far in the past ten years due to commitments by NASA and the academic community to make professional astronomy available to the public. In an effort to support our motto, “To Observe and Help Others Observe”, the presentation will include sufficient detail to get you started with access to automated telescope systems (all over the world from your laptop anywhere with Web access), space-based observatories, tools and curricula that allow an observer to learn at their own pace and dive as deep as desired to satisfy his or her curiosity. There is no cost for NOVAC members to join a user group and access the basic functions of Skynet, operated by UNC Chapel Hill and funded by the NSF. Tom built a website using Yahoo! Groups in 2006 to follow Gamma Ray Burst activity real-time with the same satellite and ground-based resources used in the professional community. The LIGO announcement regarding the gravity wave event discovered last September led to s search to discover any link between gravity waves and gamma ray bursts. Tom will discuss this search, time permitting. Recent publications from NASA, Penn State, UNC and Harvard about the GW/GRB ‘gold rush’ are available online. Tom has been a NOVAC member since 2002 and served the club twice as a trustee. His academic and professional background in engineering and communication systems during the explosive commercial growth of the Internet, in part, led to work with satellite systems. That work experience spawned an interest in automated observatories, whose use and availability grew with the spread of high-speed Internet access around the world, including remote and high-altitude observatories in California, Hawaii, Chile, Australia and the Canary Islands. Access to the NASA satellite programs came by way of a fortunate undergraduate and graduate school experience at Penn State, and by reacquainting with the university through the Astronomy and Astrophysics Department. Tom completed his Messier Certificate in 2007, mostly at Camp Highroad, with a five-inch Televue APO and O’Meara’s well known book, “Deep Sky Companions: The Messier Objects”. He has presented at several AHSP events over the years, NOVAC monthly meetings, education groups, and by invitation at George Mason University. In February 2016 a large team of scientists stunned the world by announcing the discovery of gravitational waves from merging black holes. These long-sought ripples in the fabric of space-time are predicted by Einstein’s general theory of relativity, but are extraordinarily difficult to detect. The discovery by LIGO was not only an astounding technological achievement, it opens up a new window for studying the universe. If history is a guide to the future, expect revolutionary science in the years ahead. Robert Naeye was editor in chief of Sky & Telescope from 2008 to 2014. He has authored two books, contributed to two others, and has won multiple awards for his contributions to science communication. Wayne “Skip” Bird, Outreach Director, Westminster Astronomical Society, Inc.
Join me (Skip Bird) as we explore the universe of exploring. Learn the In’s, the Outs, and the Really you can see that, about observing. Learn how to hone your skills, come up with even more excuses as to why you need that “expensive, larger, trip to the winter star party” to complete your observing list. Not to mention the really “cool” pins and Certificates (with your name on them) you get when you do. 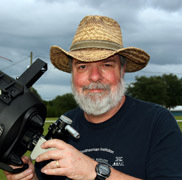 Wayne “Skip” Bird is presently the Outreach Director/Night Sky Network Guru for the Westminster [Md.] Astronomical Society, and outreach fanatic (definition of fanatic: someone who will not change his mind AND will not change the subject). He is also a “Mad” Science, Physics and Astronomy teacher for a Homeschool association. 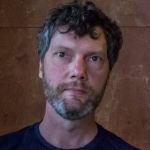 He is the world renowned author of “Night Flying Astronomy Bird” articles (OK, maybe world renowned is being a little modest), and is the “World’s Greatest Dad”. He has the button to prove it, but enough about me. Skip Bird, Outreach Director, Westminster Astronomical Society, Inc. Thought you knew everything? Your right you do. Now come and find out ways to use and abuse that info. 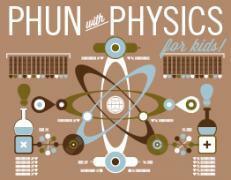 Join us for really strange examples of Physics gone wrong. We’ll shrink wrap a couple of volunteers just before we mummify them. Find out how the Flaming Wheel of Death works. Explore why your brain is trying to trick you ALL the time or “What you see is not what is there”, when a wall of squares turns into a frog or was that a horse, no it was a horse frog, no, no it was 2 frogs, or was it 2 horses, AAAHHHHHHH. Broke my brain again. “Then all the kids brains were changed and they ascended to a higher plane of being” (I wonder how long it will be before the parents notice) and more. I told you this was WEIRD SCIENCE. 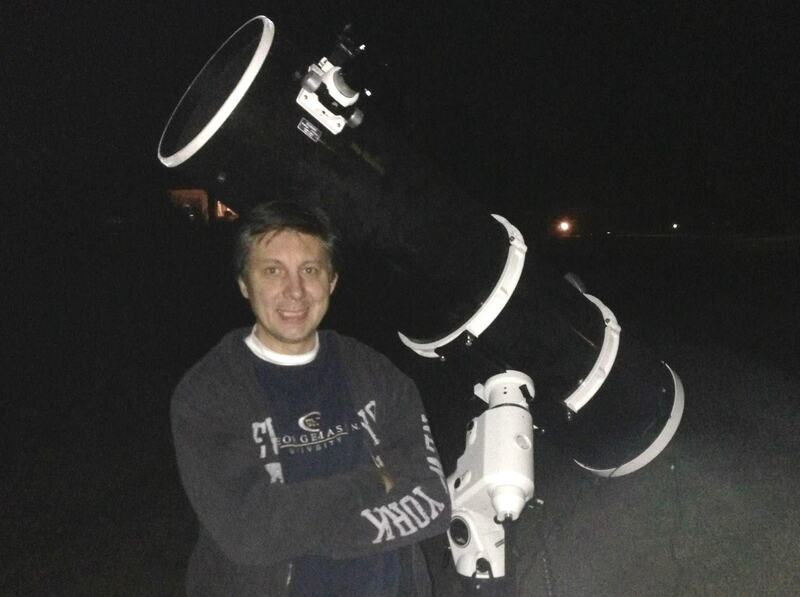 Wayne “Skip” Bird is presently the Outreach Director/Night Sky Network Guru for the Westminster [Md.] Astronomical Society, and outreach fanatic (definition of fanatic: someone who will not change his mind AND will not change the subject). He is also a “Mad” Science, Physics and Astronomy teacher for a Homeschool association. He is the world renowned author of “Night Flying Astronomy Bird” articles (OK, maybe world renowned is being a little modest), and the “World’s Greatest Dad”. He has the button to prove it, but enough about me. Dr. Geller will give an overview of the New Horizons mission to Pluto. After providing the audience with the history of the New Horizons mission, Dr. Geller will discuss the latest findings about Pluto including the layering on Pluto’s surface; the cold and hazy atmosphere; and, the geology of an active impact basin known as Sputnik Planum. 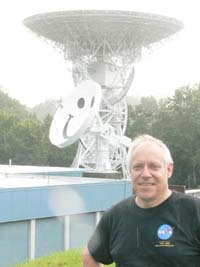 Dr. Harold Geller is Observatory Director at George Mason University (GMU). He is a Solar System Ambassador for the NASA Jet Propulsion Laboratory. 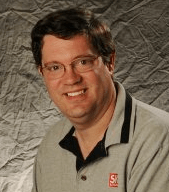 He won six Telly Awards for online educational videos with Astrocast TV. 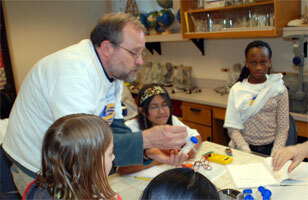 He received the 2008 GMU Faculty Member of the Year Award. He has been Associate Chair of the Department of Physics and Astronomy; adviser to the Virginia Initiative for Science Teaching and Achievement; President of the Potomac Geophysical Society; tour guide at NASA Goddard Space Flight Center; producer of educational multimedia CD-ROMs; faculty at Northern Virginia Community College; doctoral fellow of the State Council of Higher Education for Virginia; and, weekend manager of the Einstein Planetarium. He is author of books, edited volumes, and has published over 85 papers in education, astrobiology, astrophysics, and biochemistry. Dr. Geller has been quoted in the media including USA Today, Washington Post, Huffington Post, WTOP News Radio and News Channel 8. In less than a hundred years, we’ve learned an astonishing number of things about the universe– that it contains some 100 billion trillion stars, that we live in one galaxy that’s just one of a hundred billion other galaxies, that the universe is expanding, and that it had a beginning some 13.8 billion years ago. But all these discoveries were made by astronomers looking at the same sky we can see with our own telescopes. This talk examines a series of sights in the night sky that were observed and studied by the greatest thinkers and observers in history like Isaac Newton, William Herschel, William Huggins, and Edwin Hubble, and it shows how these sights helped us understand the size and composition of the universe. By the end of this talk, you will learn to see the ‘faint fuzzies’ in your telescope not as individual, unrelated objects, but as stepping stones on the way to understanding the universe and your place in it. 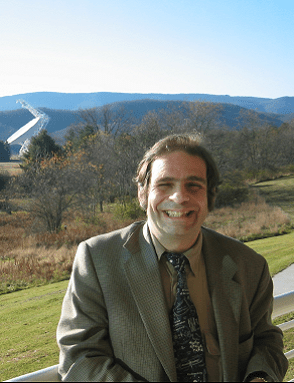 Brian Ventrudo is a writer, scientist, and astronomy educator. He received his first telescope at the age of five and completed his first university course in astronomy at the age of twelve, eventually receiving a master’s degree in the subject. He also holds a doctorate in engineering physics. During a twenty-year scientific career, he developed laser systems to detect molecules found in interstellar space and planetary atmospheres, and leveraged his expertise to create laser technology for optical communications networks. Since 2008, Brian has taught astronomy to tens of thousands of stargazers through his websites OneMinuteAstronomer.com and CosmicPursuits.com. Sometimes ATM projects (Amateur Telescope Making) go just as planned, or even better than you expected. Other times? One encounters abject, humiliating failure. What lessons (or laughs) can we take from such failures and successes? Amateurs have been making significant contributions to the world of professional meteor astronomy through the collection and analysis of visual and video observations. The first part of the talk will focus on an introduction to meteors, their phenomenology, characteristics, and observing opportunities. The second part will focus on low cost instrumentation used by amateurs in the meteor field such as human eyes, video cameras, radio receivers, and spectrometers. Pete Gural is a senior scientist with Leidos Corporation in Chantilly, Virginia managing multiple programs involved with advanced image and signal processing. Those programs that were specifically astronomy related have involved developing algorithms for asteroid detection for the Canadian space based asteroid search satellite NEOSSAT, and a rapid-response mirror tracking system for catching high resolution meteor video. Pete’s interest in astronomy started at a young age in light polluted New York City, especially after the East Coast blackout of 1965. He observed his first major meteor shower while in high school (the Perseids) after a cold front swept through and cleared out the normal summer haze of August on Long Island. While in graduate school in Astronomy, he would drive up to Kitt Peak Observatory with Mark Adams (a fellow meteor enthusiast) and lay out under the stars counting and photographing meteors while the professional astronomers worked their magic in the big domes. Full time employment hindered regular late night meteor observing, until an opportunity to purchase an intensified video meteor camera arose in the mid-1990’s. Having to watch endless hours of star field video tapes the following morning, had launched Pete into the area of computer assisted meteor detection from video tapes, and later doing the same from live video feeds. His developed expertise in automated meteor and transient detection in video, grew into rubbing elbows with both amateur and professional meteor researchers from around the world. He has been involved in both the Leonid meteor storm ground and airborne campaigns (traveling once as far as Mongolia), designed and built new instrumentation for meteor observations, and developed software for end-to-end processing of captured video meteors for the CAMS and spectral-CAMS projects. As an amateur meteor enthusiast, he is well known and respected by the professional meteor community, which had the IAU bestow the honor of naming asteroid #24301 as “Gural”. What do we know about Jupiter right now? 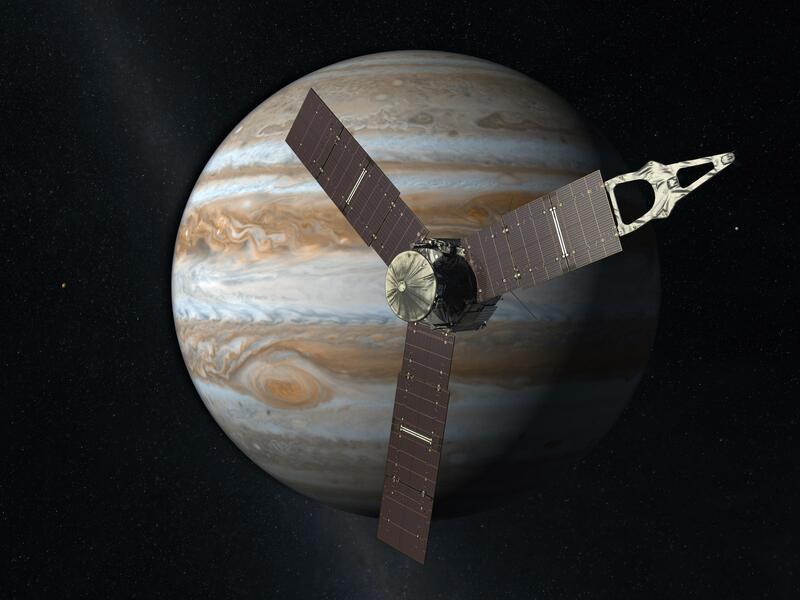 What might the Juno mission add to that knowledge? Take a tour of the planet, the spacecraft, and the brand-new data to get the most current understanding of our solar system’s largest gas giant. Learn ways to keep up with the mission, what to expect as it progresses. 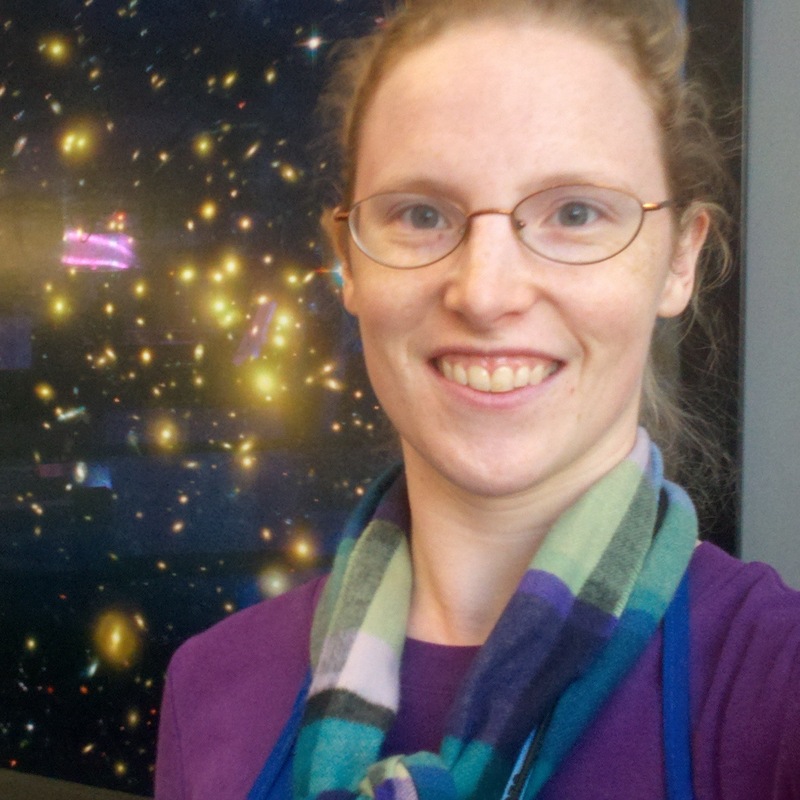 Shauna Edson is a pre-school dropout and lifelong learner, currently getting paid to facilitate awe experiences with visitors at the National Air and Space Museum’s Public Observatory. Before discovering this dream job of Astronomy Educator, Shauna worked as an environmental consultant, writing hazardous materials reports and wondering if she would ever get to actually use her geology degree or work on something that excited her. Thankfully, the Museum seems to appreciate Shauna’s enthusiasm about all things Earth and space science-related. When she’s not bouncing about the latest astronomical discovery, she’s rehearsing with her modern dance company or playing with her two cats, Simon and River. 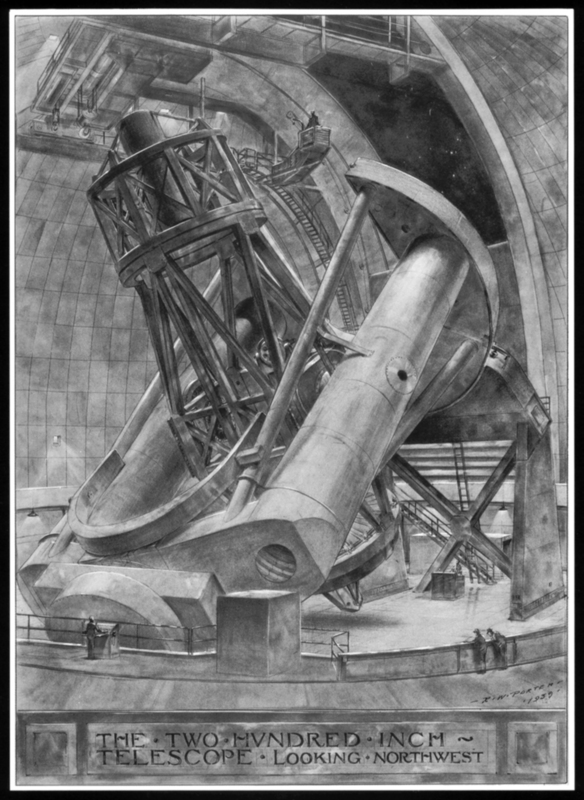 In addition to being one of the founders of Stellafane and amateur telescope making in America, Russell Porter contributed to much of the design work leading to the 200″ Hale telescope. A chance notice of his ghost view drawing for the mirror floatation mount structure started my interest. I will try to describe the merging of art, design, and engineering in Porter’s work. 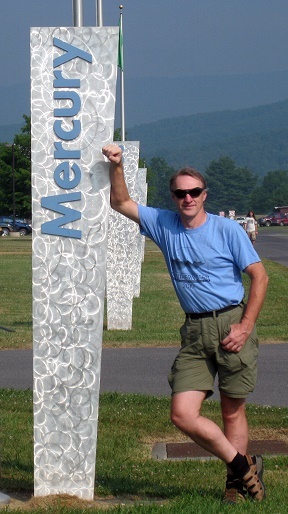 Alan is a member of NOVAC since 2001 and a principal scientist with The MITRE Corp. in McLean, VA. He’s been an amateur astronomer since elementary school, and observes with an 8” SCT. He is fascinated by manipulating and learning from light, from the cosmos to understanding. After graduate study at Univ. of Texas and MIT in astronomy and planetary science, he worked on the design and operation of the Hubble Space Telescope, principally the interferometer star tracker and Guide Star Selection System. He then worked on Landsat, NASA’s Terra-Aqua-Aura series, and NOAA’s NPOESS weather satellites. He currently assists the government in buying satellite remote sensing data and systems. Bring your astronomy, observing, or space-related items to sell. Bring your cash to get those items you need. Bring more cash for the items you want. Bring even more to get items you didn’t even know exist. All transactions will be simply private between buyers and sellers. Sellers should stay with their items as long as they are on display. Saturday & Sunday, 3:00 pm at the observatory, or meet 2:45 pm on the deck. Joe will open the observatory he has made available for TMI’s use, on the ridge northwest of the observing fields. Learn the basics of celestial navigation using the Sun and a sextant. Use the mariner’s sextant yourself — also a bubble sextant used in aircraft, if available. Skip has volunteered to lead the sky tour(s) this year. With sunset at ~7:45, it should be dark enough to start by about 8:30. Skip is an outreach expert. He will provide an introduction to the naked eye sky as it appears in early fall. His bio is found above with his presentation descriptions. Whether you are a seasoned birdwatcher or a casual observer you are sure to enjoy one of our two birdwatching sessions. Don’t miss this opportunity to see what West Virginia has to offer this time around. 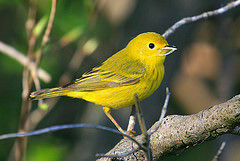 Birdwatching sessions will occur Saturday and Sunday morning right after breakfast, weather permitting. Bring binoculars if you have them. We will be walking through some uncut grass, so shoes (boots) that can withstand some dew may be a good idea. 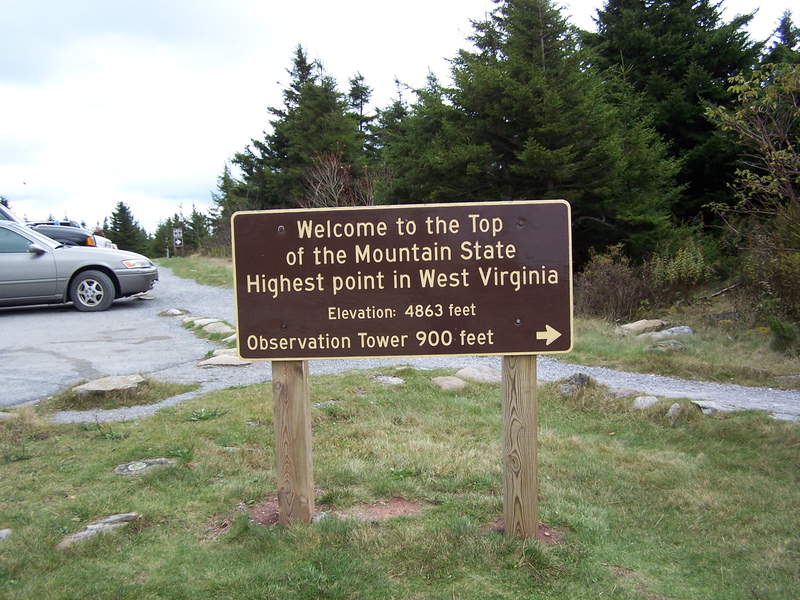 This is a fascinating description of the mountain we’re on followed by a hike for those interested in learning more about the geology of the Spruce Knob region. No prior knowledge of geology needed. The Mountain Institute’s staff will lead a trip to a local Shenandoah cave. After many years of caves being closed for fear of spreading White Nose Syndrome in bats, it has been determined that caving is not a contributing factor. TMI staff will lead a caving trip on Sunday. Prepare to get muddy! AHSP will be having its raffle again this year. There will be one special item provided by NOVAC; attendees cannot purchase additonal tickets for this item. Attendees will receive several regular raffle tickets with registration, and can buy more. Regular raffle prizes are provided by sponsors and by NOVAC. Extra tickets will be given to children who are attending, and which can be used exclusively to enter for items appropriate to their ages. The raffle drawing will be Sunday before dinner. Each adult registrant will be given blue tickets, which can be used for the special raffle item, or general items. Each child registrant will be given yellow tickets, which can be used for children’s items, or general items. Each registrant will be given red tickets, and can buy more red tickets, which can be used to enter for general items. All events, times and dates are subject to change based on sky conditions and other factors. AHSP Photos – Shoot and Show! Instead of a photo contest, we will have a photo gallery for everyone’s enjoyment in the main Yurt. Once processed, bring your photos in a memory card or USB-cabled device to the Yurt, where you can load them yourself on the designated machine. 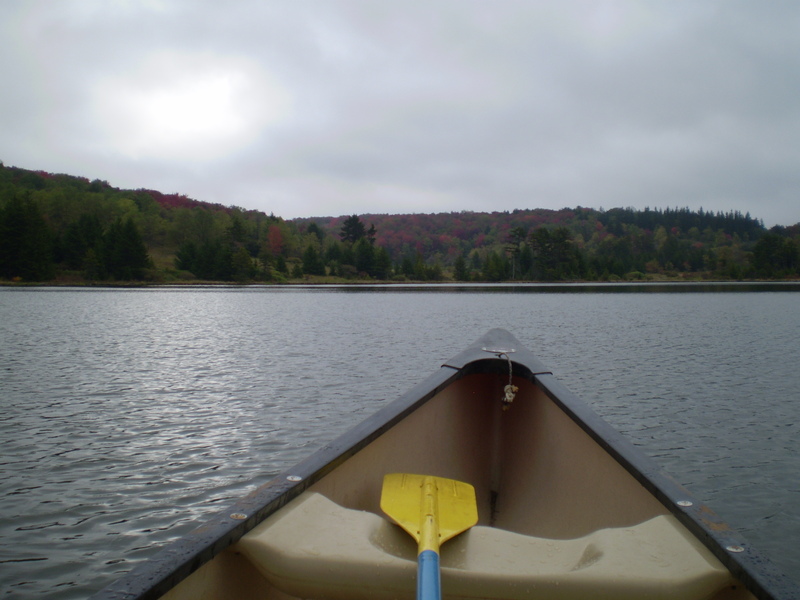 These can be sky photos, nature photos, or photos of activities of AHSP.